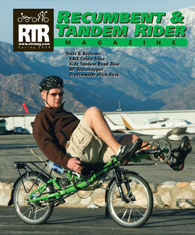 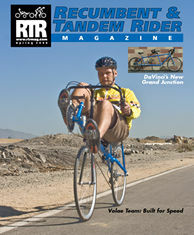 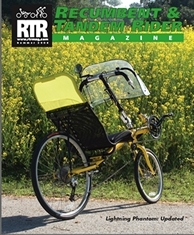 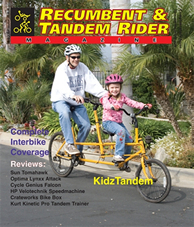 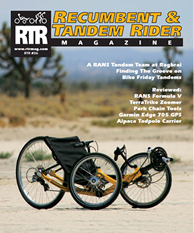 Ordering Back Issues of Recumbent & Tandem Rider Magazine is easy and fast. 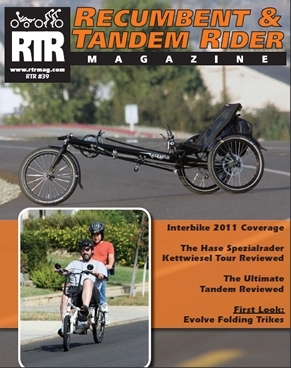 The cost is only $5.00 per back issue, which includes 1st class shipping and handling. 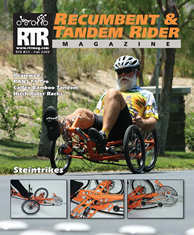 You can place your order online with PayPal. 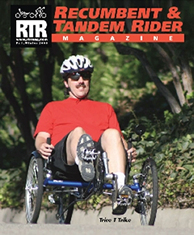 If you don't have a PayPal account, you can pay with your debit or credit card as a PayPal guest. 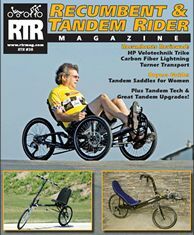 If you prefer to order by mail, complete the Order Form, and send a check or money order made payable to Coyne Publishing at P.O. 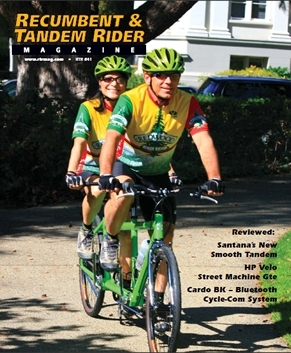 Box 337 San Dimas, CA 91773. 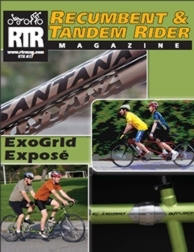 Note: The Back Issues offer is valid only for mailing addresses within the United States. 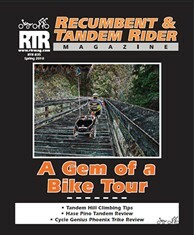 For overseas and foreign Back Issue orders, please Contact Us via e-mail or at Coyne Publishing P.O. 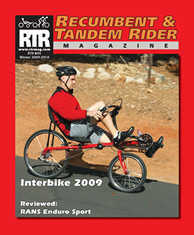 Box 337 San Dimas, CA 91773 for prices and issue availability.